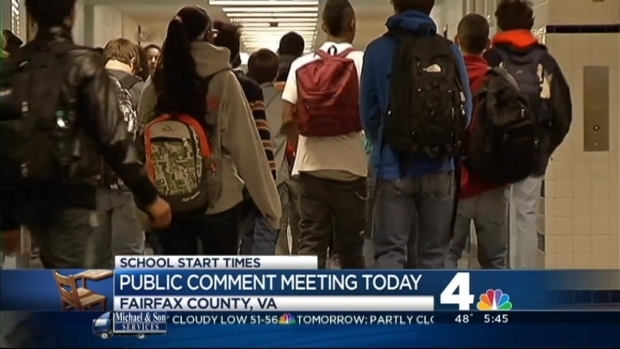 Fairfax County school officials want to hear what you think about pushing back school start times. The first of several community meetings was held Monday. Sleep doctors from Children's National Medical Center have been working with the school system all school year to determine whether students need more sleep, and whether schools' start times should be changed. The group found that, on average, children are getting six hours of sleep a night; researchers say most need at least nine. Many high school students are up by 5:45 a.m. in order to start school at 7:20 a.m., with 55 percent of students getting less than six hours of sleep a night. "Adolescents are not biologically prepared to go to bed before 11 p.m.," Danny Lewin with Children's National Medical Center told News4. The medical center has presented six potential plans for new start times to the school board. Fairfax County school officials have also created some other scenarios of their own. Elementary, middle and high school students could all be affected by the changes. OPTION #1: Middle School "Late," approx. cost: $7,645,208; 60 buses added. High School 8:30 a.m. 3:20 p.m.
Middle School 9:30 a.m. 4:20 p.m. Elementary School 7:50-9:15 a.m. 2:25-3:50 p.m.
High School 8:10-8:20 a.m. 3-3:10 p.m.
Middle School 7:20 a.m. 2:10 a.m. Elementary School 7:45-9:10 a.m. 2:20-3:45 p.m.
High School 7:50-8:20 a.m. 2:40-2:50 p.m.
Middle School 7:20 a.m. 2:00 p.m. Elementary School 8-9:20 a.m. 2:40-4 p.m.
*Secondary schools start at 7:50 a.m. or 8:20 a.m. with all other HS at 8 a.m. or 8:10 a.m.
High School 9:15 a.m. 4:05 p.m.
Middle School 8:20-8:30 a.m. 3:10-3:50 p.m. Elementary School 7:40-9:15 a.m. 2:20-3:50 p.m.
*One middle school at 9 a.m. Under all the plans presented, high school days would start later. Middle and elementary schools could begin earlier or later, depending on how bus schedules would best work. During Monday's meeting, the option that got the loudest support was Option 5 -- keeping things the same as they are. "You give a kid an extra hour of sleep, they're not going to to take it," parent of two Craig Hodge said. "They're gonna stay up another hour." Seven more public meetings are expected in May and June before the board makes a final decision on October. School leaders want to hear from students, parents, employees and even community members. 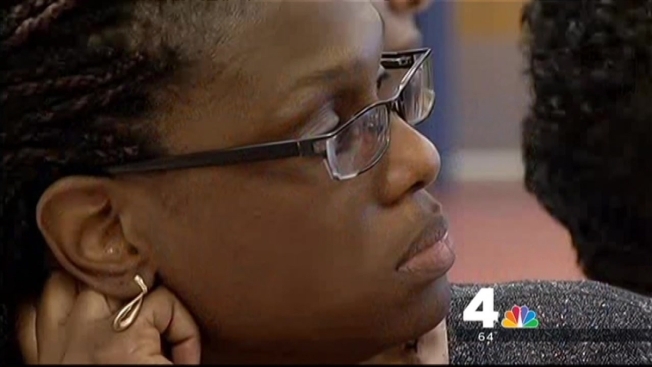 Officials in Maryland are also working to push back start times for students. Last week, Gov. Martin O'Malley asked for a study to find out the best times for school to start across the state.